Memorabilia belonging to 25 top sportspersons from India and overseas, including tennis star Roger Federer, batting maestro Sachin Tendulkar and chess ace Viswanathan Anand, will go under the auctioneer's hammer in Mumbai on October 29. Six of the precious memorabilia, including the bat used by Tendulkar when he scored an unbeaten 163 against New Zealand in a one-day international in Christchurch last year. The proceeds of the auction will go towards the corpus of the Foundation, which is dedicated to creating a world without discrimination, it was announced. They are all a part of 'Equation 2010 - An Auction for Equality', conducted by actor Rahul Bose's NGO 'The Foundation'. Swiss tennis star Roger Federer's shoes are also among the items to be auctioned. The Federer-signed tennis shoes have been donated by Globosports, Mahesh Bhupathi's company. Bose said online bids won't be accepted during the auction as the organisers didn't have the required permission from the Government. "We can't have online bids because as a registered charity we have permission to get bids only from Indians. This is a long process but as and when it happens it would be a big thing. We plan to make the auction an annual event," he said. Eleven sportspersons have confirmed their presence for the auction and Bose added that the event was likely to have representation from Bollywood as well. 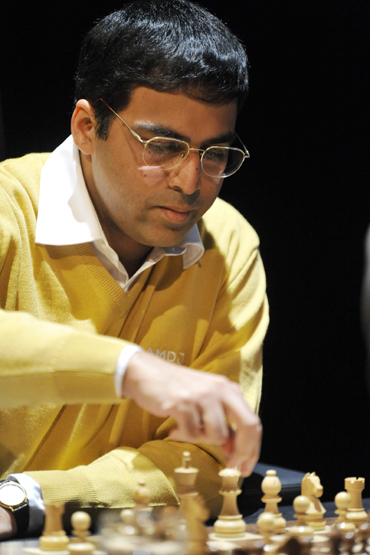 The auction will also include the gold medal won by Anand after beating Vladimir Kramnik in a World Championship match in Bonn in 2008.
donated some of the most prized memorabilia in world sport today. 'The Foundation' needs a corpus to ramp up the work it is doing, to the next level. When asked how much money was the NGO expecting to raise from the auction, Bose said, "I don't know how much money is going to be raised. We've never done this before. To be frank, I don't really care if we raise Rs 10 lakh or Rs one crore. The idea is to celebrate the sportspersons." 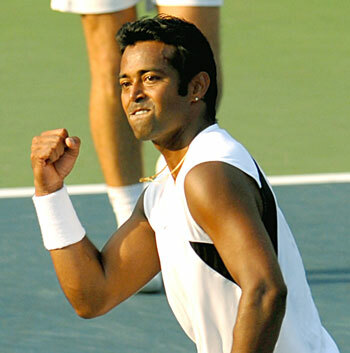 Tennis racquets used by Leander Paes and Mahesh Bhupathi to win the mixed doubles Grand Slam titles at Wimbledon (2010) and Australia (2009) respectively are also a part of the auction. The other donors are: Rahul Dravid, Sourav Ganguly, Sunil Gavaskar, Kapil Dev, Virender Sehwag, Mansur Ali Khan Pataudi (all Cricket); Vijay Amritraj, Sania Mirza (both Tennis), Prakash Padukone and Saina Nehwal (both Badminton), Pankaj Advani and Geet Sethi (Billiards), Baichung Bhutia (Football), Viren Rasquinha and Ajit Pal Singh (both Hockey). Other names include: Diego Forlan (Football courtesy Mahua TV), Ricky Ponting (Cricket courtesy Dhiraj Malhotra), Maria Sharapova (Tennis courtesy Akshay Kulkarni), Shane Warne (cricket courtesy Rahul Bose).